The Full Metal Vest from Rivers West is the ultimate outerwear for concealed carry. The vest comes with 2 (1 right hand, 1 left hand) holsters that also hold a spare magazine. The holsters attach with velcro and can be positioned for vertical or horizontal carry. They are accesable by a strong side zippered opening or from a zippered opening positioned next to the main zipper in the front center in a cross draw fashion. The vest also comes with 2 hand warmer zippered pockets. A built-in shoulder harness carries the weight of the firearm across the shoulders and back and helps prevent "sagging" at the position of gun. 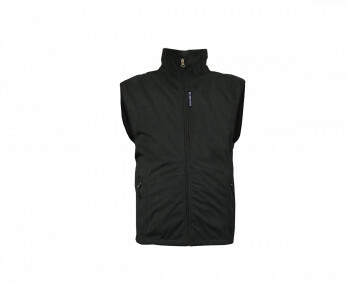 Made from 100% Fleece, the vest is waterproof, windproof, stretchable, and whisper-quiet.